Feast your imagination, not your eyes! 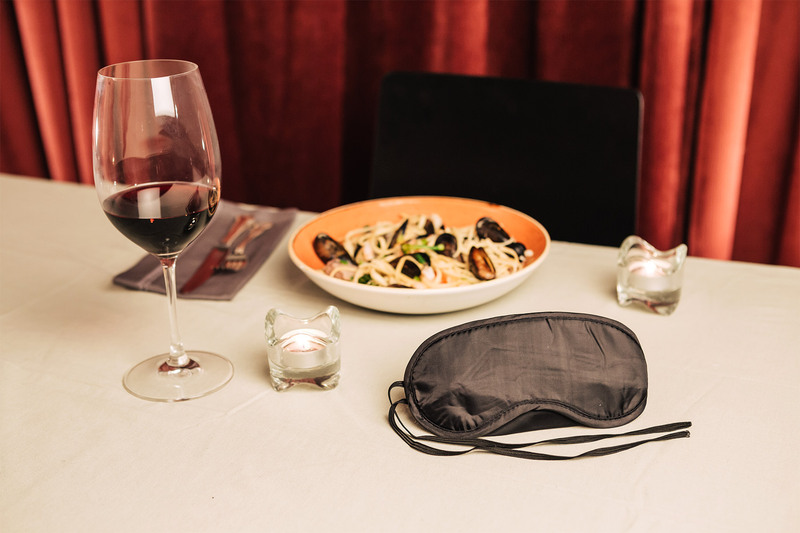 During the month of November 2018, restaurants across Ireland challenge their guests to dine in the dark to raise awareness and vital funds for life changing sight loss services in Ireland. This immersive experience allows people to challenge their thinking around sight loss and the people affected by it. In NCBI we know that just because someone can’t see shouldn’t mean they don’t have a vision for their future. We are in the business of changing lives and are looking for great restaurants and people to support us in achieving this. Dine in the Dark is limited to 50 venues in 2018! Irish celebrity chef Neven Maguire is our Dine in the Dark Ambassador, supporting us in media activity from the launch date to the conclusion of the project. Neven is well known for his award-winning MacNean House & Restaurant. He has published 12 cookbooks and is currently filming his 8th series of ‘Home Chef’ for RTE. Dine in the Dark is a wonderful way to shine a unique and exciting spotlight on your restaurant while helping a great cause. Over an evening – or a few evenings during the month of October – you can boost your bookings, create a wonderful dining atmosphere and light up your social media as you offer your customers a joyful, unforgettable and intriguing dining experience. Our participating restaurants will be supported by our Dine in the Dark experts and we hope to raise €25,000 through the campaign. Everyday in our centres, we provide practical and emotional support, rehabilitation services and hands-on training to help people who are blind or vision impaired to live independently and confidently.